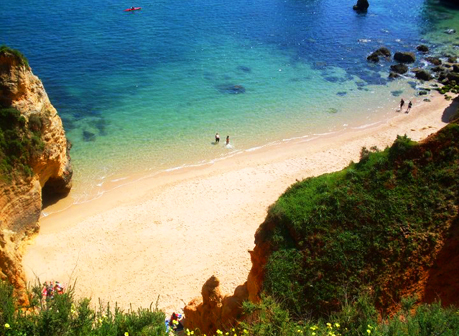 Gorgeous Praia do Pinhão is the favourite beach of Goodtimes Guides. 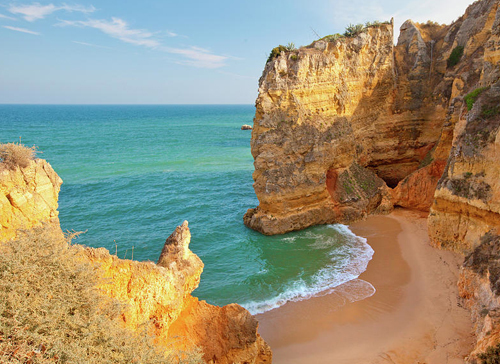 Its tall orange cliffs create a secluded cove… almost too good to tell anyone about! It is untouched in terms of commericalism – there are no shops, umbrellas or deck chairs. 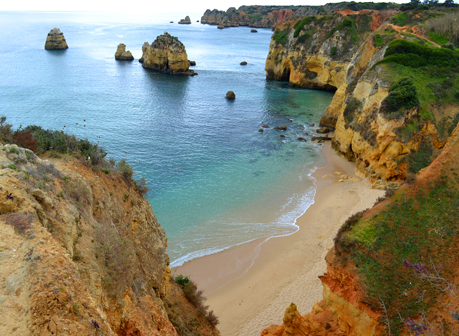 So if you go early its a truly peaceful place to get in touch with nature, take a swim and watch the glistening ocean. There are some interesting rock forms around it, including a small blow hole cave on the left side, so go exploring. 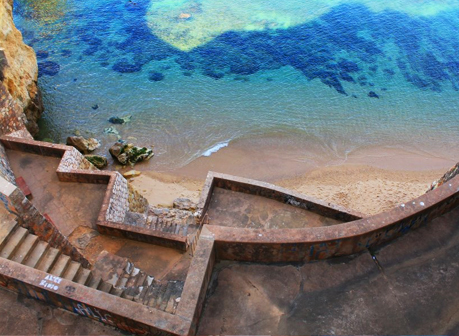 Before arriving to the beach you see a magnificent old stairway, looking down to the turquoise ocean. After another 20 meters you arrive to the steps which take you down to the beach. You can access the first part of beach through a small hole in the cliff. If the tide is in however, this part of the beach is under water. For more instruction on getting to this beach, click on the contact button below. Go early for real tranquility. After dark its unsafe due to the steep cliff and lack of light. 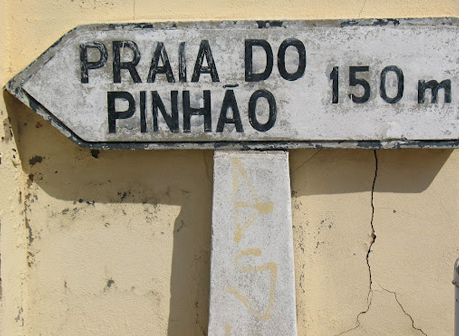 To arrive at Praia da Pinhao, go to the top of Avenida dos Descobrimentos, where you see a tall hotel, Apartamentos Pinhão. There, turn left down the small road, passing fig trees and a great panorama of Lagos. At the end (beside the big house) you will see the old stone stairway and can look down to a superb view of the crystal clear water below. Continue the path to the right and you will find the steps down to the beach.